Irish whiskey has returned to the spotlight over the past several years, with the category surging in sales, new distilleries popping up all over the country, and a range of innovative releases hitting the shelves. That means St. Patrick's Day shouldn't be the only time of the year that you're imbibing the best of Ireland. Nevertheless, to help you prep for the holiday, take a look at the Irish whiskey you need to know this year - with new releases, unique expressions and premium bottlings. Brothership is a unique entrant here and to the whiskey category overall. It's actually a blend of Irish and American whiskey, mixing a 52% portion of 10 year old Irish pot still whiskey with 48% 10 year old American whiskey. While the stock is sourced, it's a collaboration between the Connacht Distillery in Ireland, and their American sister distillery, Philadelphia's New Liberty (Philadelphia Distillery of the Year in the 2015 NY International Spirits Competition). It's bottled at 90 proof and is priced at $49.99 ($39.99 in PA), available in select markets. Bushmills Red Bush is a new release designed with bourbon drinkers in mind. By aging the whiskey entirely in first-fill bourbon casks, Bushmills is adding an extra injection of vanillin-forward characteristics to the whiskey. Red Bush is a blend consisting of triple-distilled single malt, as well as grain whiskey. The latest from The Dubliner, a brand which debuted in 2015, is a new limited edition 10 year old single malt. Aged entirely in bourbon casks, the expression is bottled at 84 proof and is priced at $49.99. While not yet available everywhere, the release will hit at least 20 U.S. markets. As a new brand, the stock is obviously sourced, but €10 million has been invested into building The Dublin Liberties Distillery. Jameson has been unleashing a number of new editions lately, and one highlight is The Cooper's Croze. It's part of the Whiskey Makers Series, a collection of three releases showcasing different aspects of their production and the people responsible. Cooper's Croze is all about legendary master cooper Ger Buckley—a "croze" is a coopering tool. The expression was aged in a unique combination of virgin American oak casks, bourbon casks and European sherry casks. Bottled at 86 proof and priced at $69.99. There's plenty to explore in the Knappogue Castle lineup. Start with the 14 year old Twin Wood, a married blend incorporating single malt stock aged in bourbon barrels and single malt stock aged in Oloroso sherry casks. Priced at $59.99 and bottled at 92 proof. 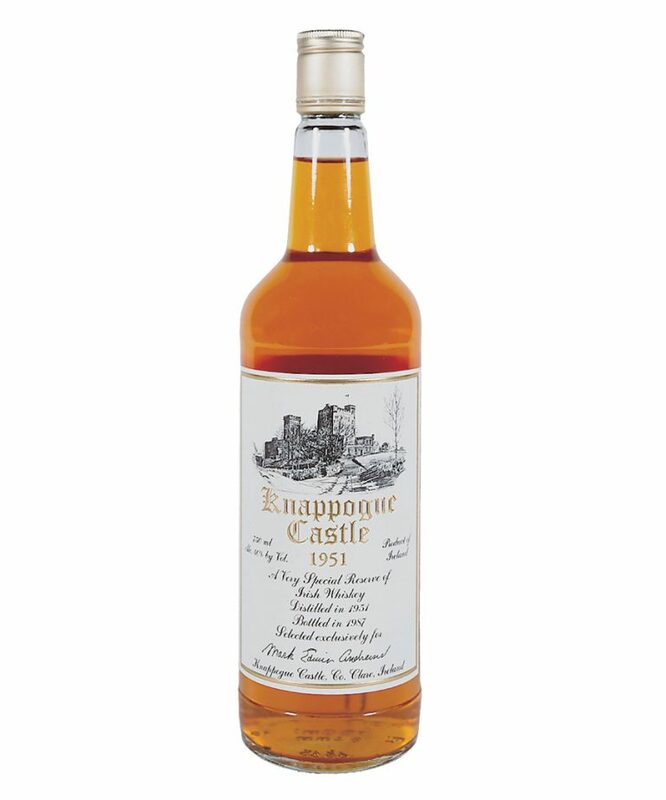 If you're looking to splurge, then look no further than the Knappogue Castle 1951. It's been aged for 36 years in Oloroso sherry casks, and is a highly coveted, rare release. You'll need to spend to nab a bottle for yourself, of course, with pricing coming in at $1,600, but good whiskey bars, such as the Dead Rabbit in New York City, will also offer it for about $100 a glass if you don't want to splurge on the whole bottle. "The Spirit of the Band, Bottled" is the tag line for The Pogues Irish Whiskey. It's a blend of three whiskeys, with half of the blend allotted to a mix of 10 year old sherry cask aged single malt and 7 year old bourbon cask aged single malt, and half to 4 year old grain whiskey aged in bourbon casks. The label is produced by West Cork and bottled at 80 proof, gold medal winner in the 2016 NY International Spirits Competition. The entire Redbreast lineup has long been a favorite among Irish whiskey fans, showcasing the best of single pot still Irish whiskey. The new Lustau Edition is sure to impress as well, whether you're a longtime supporter of Redbreast, or you're discovering it for the first time. Matured for between 9 and 12 years, but without an official age statement, the whiskey was aged in a combination of American and European oak casks. After initial maturation, it was then finished for up to a year in Oloroso sherry casks from Lustau. Bottled at 92 proof, priced at $69. Teeling has released the latest from its Vintage Reserve Collection, a 24 year old single malt distilled in 1991. Aging took place first in bourbon casks, and then in Sauternes wine casks. There's also a touch of peated malt in the whiskey too, offering a range of flavors. Only 1,000 bottles are available in the limited release, with each coming in a decanter with a certificate of authenticity. Priced at $499. 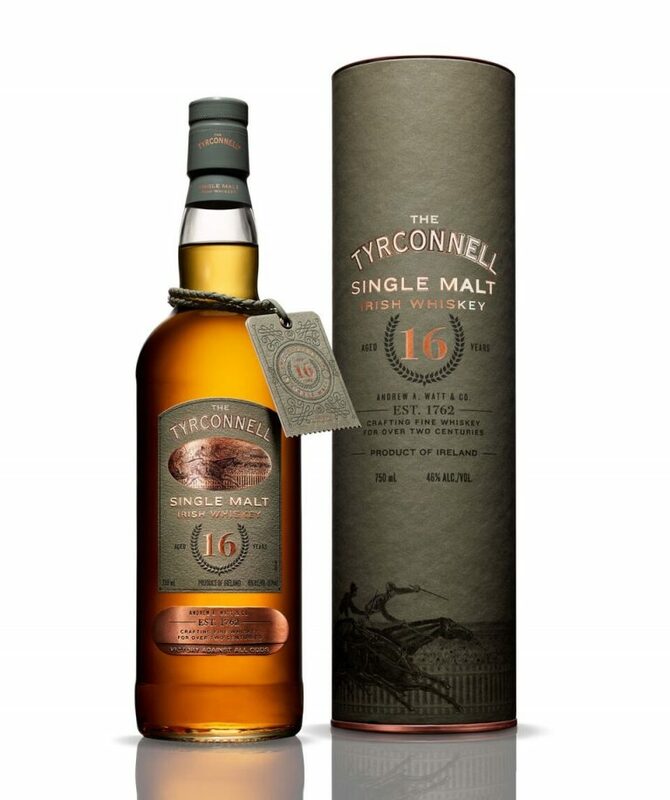 The Tyrconnell has unveiled a new 16 year old single malt, bottled at 92 proof. The limited edition has been aged in bourbon casks, and represents a far more mature addition to their range, which otherwise includes the flagship The Tyrconnell, which lacks an age statement and a trio of 10 year olds with different cask finishes. While much Irish whiskey is triple-distilled, The Tyrconnell lineup consists of double distilled single malt whiskey made at the Cooley Distillery. The 16 year old is priced at $100. 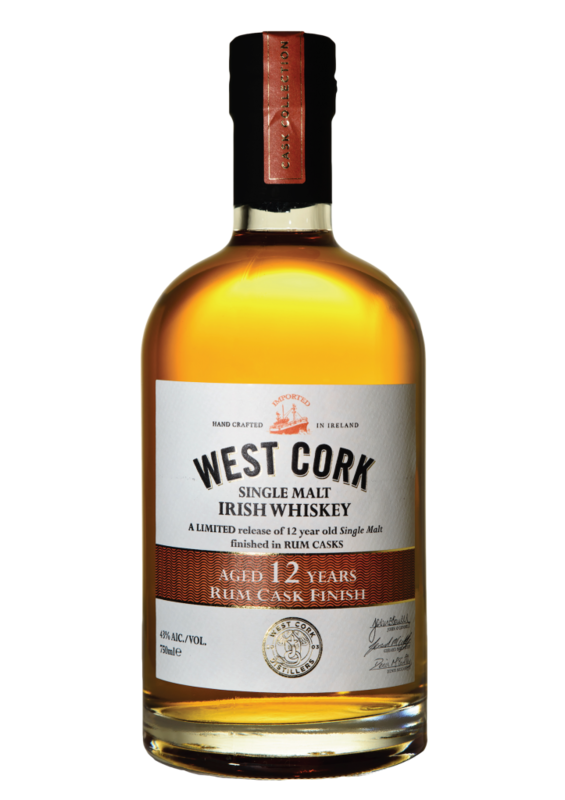 West Cork has released a trio of limited edition 12 year olds showcasing different cask finishes, including this one, the 12 Year Old Rum Cask Finish (Silver medal, 2016 NYISC). Bottled at 86 proof, the whiskey was matured in first-fill bourbon casks for 12 years, and then finished for approximately 110 days in rum casks. West Cork is an operational distillery, moving into a new facility in 2013, but the old stock, including this release, is sourced. Priced at $66, there are 2,500 bottles available. Ah there's something about the name of this one that's particularly compelling to someone like me — they did that on purpose, didn't they? Besides the name, highlighting the connection between the greats of both Irish whiskey and Irish literature, Writers Tears is made in homage to what was dubbed the "champagne of Irish whiskey" from the 19th century. It's a unique blend of single pot still and malt whiskey, at a 40 to 60% ratio, released by Walsh Whiskey. It's been entirely triple pot distilled and aged in bourbon casks. Bottled at 80 proof.